As we speak Dyson is having some pretty great sales on some of their best-selling products, but did you know you can save even more while buying direct? Here’s how! Does it seem like Dyson is taking over our lives recently? Well, we’re ok with that. From vacuums that have cut down our cleaning time and made our lives (and breathing) easier to the latest in haircare tools like blow dryers and curling irons that actually help our hair instead of burning the life out of it, you can’t really go wrong. If we’re being truthful, we don’t love their high prices, but it’s almost always usually worth it. A recent research report from the testers over at Consumer Reports suggests that most times their products actually are worth it and they typically beat out the competition. One thing that most people don’t know about when trying to save a little is that your best bet may be just to buy direct at Dyson. People usually go the Amazon route for the free shipping thanks to Amazon Prime, but when buying direct they’re also offering free shipping (many of which are 2-day!). Even better, on average we’re seeing some regular promos (no code required) offering anywhere from $100 – $150 off select must-haves. And they even offer price-matching if you find it cheaper (within 30-days) somewhere else (must be an authorized US retailer). Check out the best Dyson promo codes, sales, and deals (so far) in April 2019. 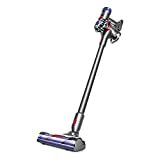 April 2019: Dyson Promos, Sales & Deals Today! It seems like all everyone is talking about these days is Dyson and, well, we can't blame them. 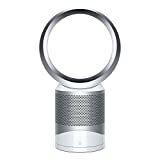 Check out all the latest deals, promos and sales this month at Dyson. Coupon codes aren't even needed to save a ton today when you buy direct. 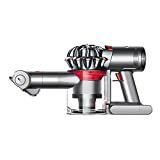 Get Up to $150 Off Your Dyson Order + Free Shipping! We'll take up to $150 off any time of the week! Well right now you can get just that! Plus, check out their amazing sales on things like their vacuums, air purifiers, and more! This one is a total score! 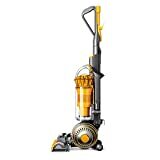 Right now you can get an extra $130 off the V8 stick vacuum, which is perfect for all kinds of flooring. Plus, click through to see how you can get $75 worth of tools for free! Ready for some free shipping? Right now you can get just on the Supersonic Hair Dryer that you've seen everywhere online and on TV like The Today Show and Good Morning America. Get $150 Off the Pure Hot + Cool Air Purifier Today! Yes, this is the one everyone has been talking about and you've been seeing everywhere. Right now you can score $150 off this tech-advanced air purifier in black + nickel. Grab it while you can! Now this is the curling iron (of sorts) that basically broke the internet this past holiday season and right now you can score yours starting at $499 (which is about $100 less than what we've see other places recently). Even better? Enjoy free shipping! Click through to learn more about their price matching too.